2 by 3 Heroes: Awesome to last a lifetime. Still catching up a some great envelopes received here are Chateau 2x3. One blog that I find a wealth of great info is Lifetime Topps. 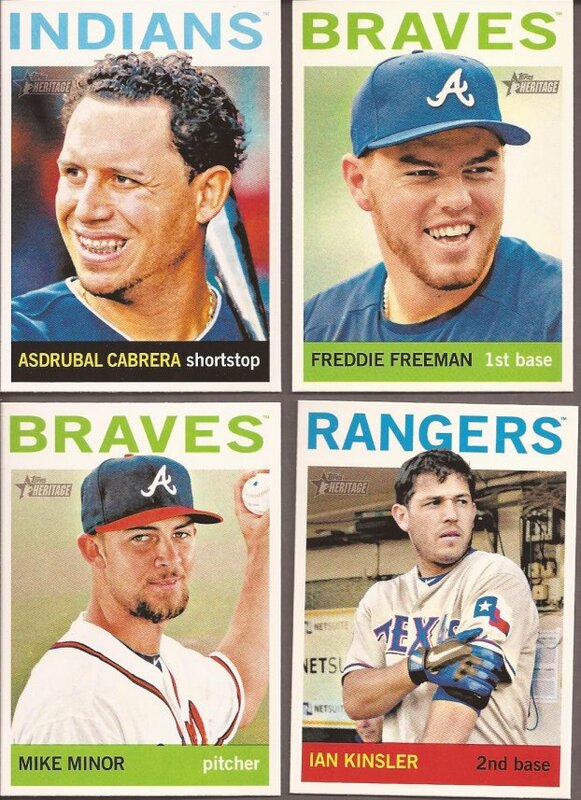 Charles decided to collect the base Topps set for each year since his birth. Now there is a project. It's also a site with some awesome need lists that I am more than willing to fulfill. Charles replied in kind for the cards I sent, and does Charles know how to fill an envelope. I didn't scan off the 2012 and '13 Gypsy Queen, but he knocked a few off the needs lists. Those? Oh, just the last 3 Heritage I needed for the base set. And the Kinsler is another SP off the list. MINIS!!! The three A&G were needs, and the Thomas GQ turns out to be a card I don't have. NICE! COLORED PARALLELS! Hmmm - that doesn't carry the same sound as 'minis'. 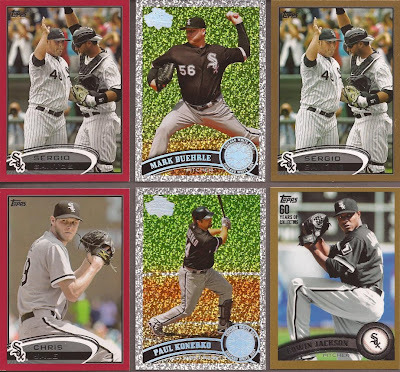 But I do love me some gold, Target and sparkle White Sox parallels. Charles could have stopped here and I would have felt like I get the better side of the trade. Then he added these three and it was a slam dunk. 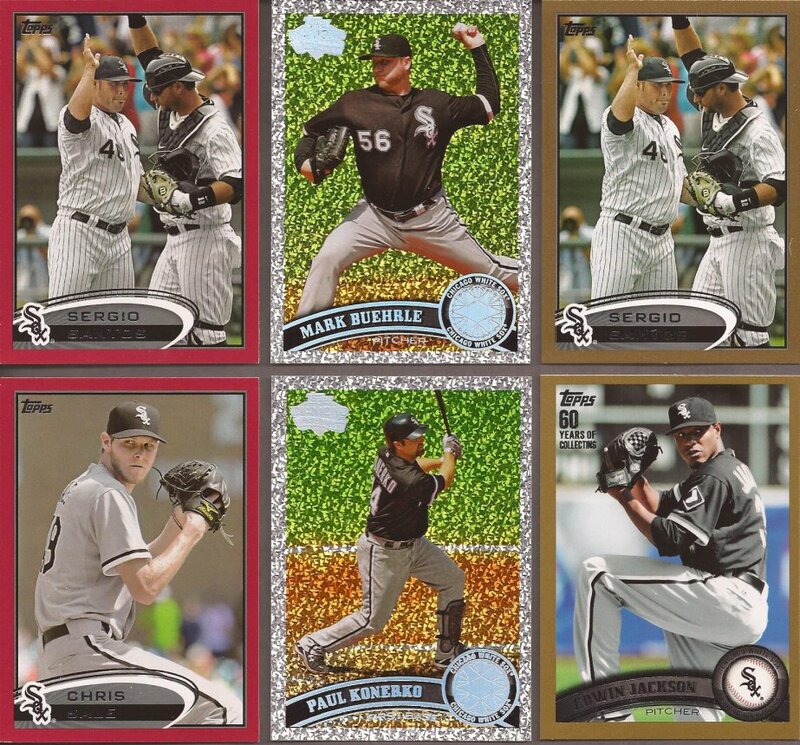 With the train wreck (in my opinion) of the whole Turkey Red online deal, I gave a crap about the Sox in the set. Now I have half of them. They are pretty sweet in person. I may have to work on the Sale and Peavy if I can find them at a good price. I hate last year's Heritage, but I don't hate them when they are chromed! 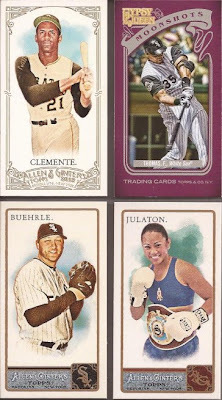 Charles, thanks a bunch for the great trade.Now go help Charles and his base set needs. Me too. A must-have for a Desert Island Mixtape.